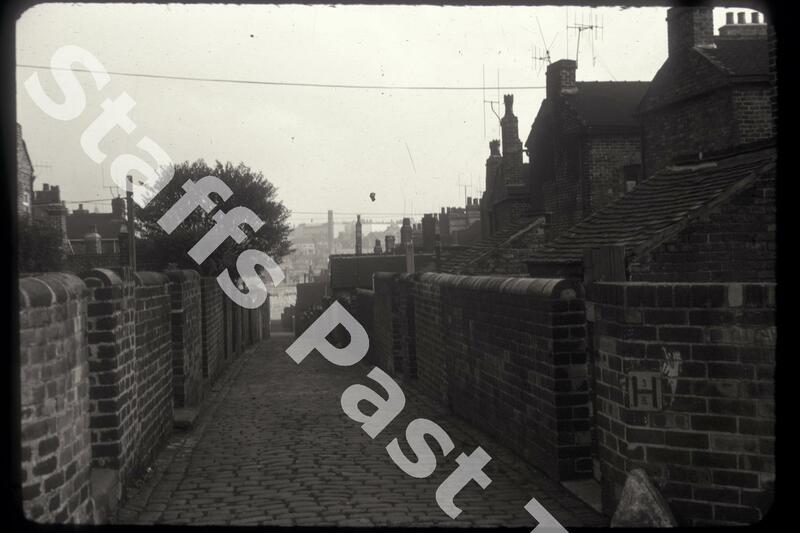 Description:This is the cobbled alley that runs along the back of the houses in Denbigh Street and Century Street (formerly Brook Street) in Hanley. 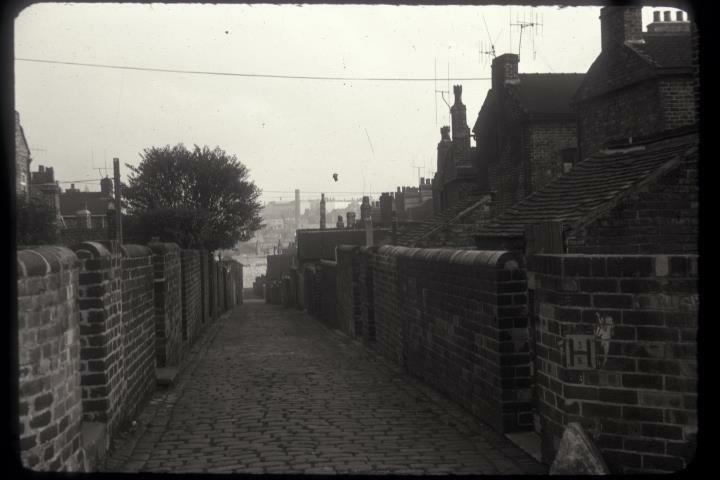 The camera is looking eastwards towards Hanley. The houses here and in neighbouring Lowther Street (formerly Lonsdale Street) date from the last quarter of the 19th century.